On Wednesday 7 November a group of students attended this annual event at SOAS (School of Oriental and African Studies), University of London. The day was designed to give an insight into aspects of Japan, traditional and modern, through lectures and practical workshops. 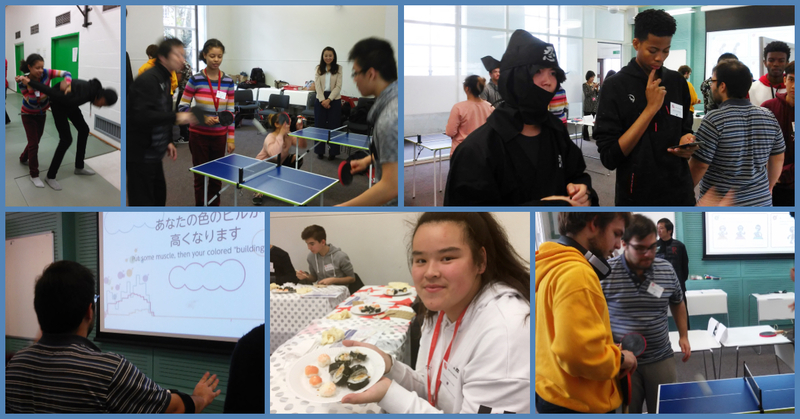 Students took part in practical workshops including: Calligraphy, Cookery (Sushi), Oekakinden (Sports Technology), Manga (Drawing), Martial Arts (Aikido), Sumi-e (Ink-wash painting), and a language focused workshop led by the Japan Foundation exploring the topic of O-Bento (Japanese lunch box). There were also lectures ranging from how the choice to study Japanese had inspired and set off a life time of opportunities to the findings of a Japanese scientist showing how green tea and chocolate can help keep us in shape! Finally two current students of Japanese at SOAS spoke about their decision to study Japanese at degree level and described their experience of living and studying in Japan. Everyone agreed that the day had been a great opportunity to learn more about Japanese life and culture. It was also a chance to try new things, interact with other sixth formers and have an insight into life choices after St Charles.